When google and DA come together for learnings. This week’s DA had a whole host of peculiar and exciting words to delight. First cab off the rank, Sandinista. Like many a youth, my late teens were about sticking it up to the man, and few people have ever stuck up to the man like Sandino and his revolutionary offspring, the FSLN, otherwise known as Sandinistas. I won’t bore you with politics, but I will tell you this: the Sandinistas brought together some deaf kids in special learning schools when they took power, and these kids invented their own sign language that was completely distinct from what their teachers, untrained in teaching language to deaf children, were teaching them. What the deaf Nicaraguan kids had done was invent a completely new language from scratch, and if the Sandinistas and sticking it to the man aren’t your bag, the story of these kids undoubtedly is. 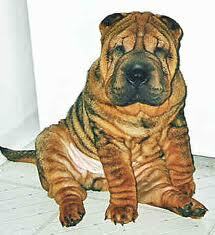 No doubt, Shar Pei was DA’s linguistic saviour this week. I bet he was faced with S_A_P_I, stuck those letters into a crossword solver and Shar Pei came out. Surprisingly enough, I knew of the existence of these wrinkly canines, although I didn’t remember their name, because I had watched a sappy human-interest story on A Current Affair many, many years ago. A child with too much skin had been born to two loving parents, and the poor thing ended up looking a helluva lot like a human Shar Pei, so A Current Affair stepped in and ran with a story that told of the child’s trials and tribulations. It made me laugh, it made me cry, but more importantly it gave me hope: it was conjectured in the story that this wrinkly child would grow into his skin just like Shar Peis do. And here’s another reason why Wikipedia might indeed be the world’s greatest monument to unrealised potential at work: George W Bush liked writing with Sharpie markers so much, he often refused to write with anything else. I assumed panjandrum was another of those great words from India that reveal some rather ugly power relationships: sahib, pariah, coolie, brahmin, sudra. But no, panjandrum was an inspired invention by one Samuel Foote, who deflated the ego of an actor claiming he could memorise anything he had read only once. Curiously enough, a panjandrum is also an experimental, explosive military device that was never used in battle. The greatest piece of linguistic trivia from this week’s DA comes from Hooke’s law, a law that was first expressed in Latin in anagrammatic form as ceiiinosssttuv in order to hide this piece of scientific brilliance: ut tensio, sic vis, or as the tension, so the force. Hooke was by no means crazy, though: he did this to lay claim to his discovery as soon as possible, which was before he was ready to publish his experimental results, while still keeping his law under wraps. All of this was actually quite common in the 17th century, and something even Galileo did. And if it’s good enough for Newton, it’s good enough for me too to stand on the shoulders of giants and contribute to science thusly: eevvinosstuvvcnmmu. I can’t go past commenting on the Elis Regina and Elizabeth Regina conjunction, so now I resuscitate a moribund category: DA’s Teachings. ER I always accepted as the queen without ever knowing that the R stood for Regina, the Latin word for queen. So when philth commented on the previous post that he thought ER in 2-down referred to Eliz Regina as being a hard-headed woman, I assumed he meant Elis Regina, the queen of Brazilian popular music, who was well known for her fiery temper. DA Teachings is hereby resurrected because of a reference to an ancient myth that demands to be remembered. Having never heard of argus-eyed, the cryptic troupe vaingloriously inked in eagle-eyed as the answer while supposing the lack of an explanation had more than likely something to do with DA’s legendary legedermain. A quick squizz at Saturday’s Age after progress came to a stand still revealed our mistake. Recourse to the iPhone revealed that argus-eyed does indeed mean keenly watching (it’s not the neatest grammatically — the clue should read keenly sighted defended case about fine in my book), and that Argus was a giant possessed of 100 eyes, all of which were engaged with the task of guarding the heifer Io, all of which were later transferred to the peacock’s tail after the giant they belonged to had passed away. Incorrect answers to cross clues prevented us from answering this one, but I thought I should note the special history of merganser here even though I already knew the meaning of the word. In a cryptic crossword from many moons ago, maybe even a DA, I stumbled across merganser as an answer and was duly informed of what it was. My advice: take care to remember merganser, for it will surely reappear in many a crossword to come; just like tango, eerie and rumba, there are too many handy letters for a crossword compiler to ignore this specimen of sea-duck. I figured this was tea tray, but I had no idea why dug = teat. A dictionary told me, though, that dug is exactly a teat as well as being related to a shovel. Here, barge = hoy = equestrian champ (as in Andrew Hoy, the Olympic gold medallist). Until I looked it up, I had no idea barge = hoy. This one was guessable with cycle wear = lycra so that carbon-free cycle wear = lyra = stars. And with that, I learnt a new constellation. We’ve got woeful = blue and line with PC-adapted = pencil so that woeful line with PC-adapted = blue pencil = tool for editing. What I had no idea of was that a blue pencil is customarily used for editing. How rappers welcome = yo and politico = mp, but who knew before doing this crossword that yomp is slang for slog? Leaner = lurcher = dog breed. What I didn’t know is that a lurcher is a crossbred dog. RC, in his guise as a well-travelled geographer, came out with tarn as a small mountain lake, which I had never heard of. With that, we had ourselves the following explanation: headlined feature = brow and high water = tarn gave headlined feature: High Water Repelled = brown rat = vermin. Dog = lab and mating period = rut (which was news to me), which gives dog returns about mating period = brutal = savage. I was pretty sure this was making reference to a nose, but I had no idea that a slang term for nose is beezer, so that worker = bee and practically nothing = zer, giving worker with practically nothing? = beezer = that smells!. I had never heard of Molson as a beer, and here we have spy = mole, brief spy = mol and issue = son (which I’m not completely sure about), giving brief spy issue = Molson = beer (the crossword’s theme). Greek spirit = ouzo, the Spanish = el giving Greek spirit deleted the Spanish = ouzel = winger. When I got this out, I supposed ouzel referred to a rugby player, probably French, who played as a winger and was blessed with a fine name. Google then told me it was in fact a reference to a particular species of bird! Here, zero regularly = zr and combined zero with zero regularly = rozzer = cop. I had never heard of a rozzer before, but it sounded like a slang word for a cop, and so it proved to be. What’s most entertaining, though, is despite appearances to the contrary, it’s another way of calling a cop a pig: rozzer comes from the Hebrew word chazer, which means “pig”. An anagram of let short creep up is Peter Sculthorpe, who, unbeknownst to me, is a renowned composer of primarily orchestral and chamber music. I managed to get this out even though I had no idea what an Aaron’s rod is. It seems to be many things, including any one of the staffs Moses’ brother Aaron carried that possessed magical powers. In this clue, though, it refers to a biennial plant, giving Radar soon zapped = Aaron’s rod = plant. DA again attacks one of my weak points: poetry. Poet, Hughes refers to Ted Hughes, a renowned poet who was married to Sylvia Plath when she did herself in. Then we’ve got a celebrity = a name, up a celebrity = emana, poet Hughes = Ted, giving up a celebrity poet, Hughes = emanated = issued.